Porsh was being networked by shelter volunteers and he just broke our hearts. He’s very mellow and low energy, and at his age was not suited for living on the hard concrete floor of the shelter. Add to that he had a massive leg tumor that his previous home didn’t have treated and we knew if ever a dog needed us it was him! He’s already had surgery to remove the tumor, is healing well and is getting great care. He needs a home without a lot of stairs and people who are savvy enough to deal with his grumpy old man moments. 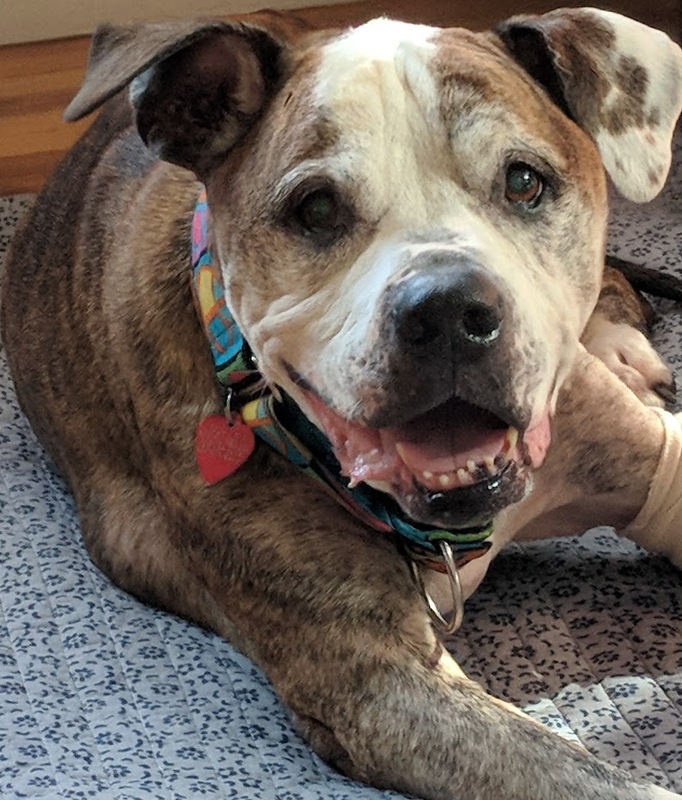 He is fine with all other dogs, good with cats, good with kids, good on leash, quiet, housebroken and just wants some cushy beds for his stiff old joints to nap on and yummy food!